No blog yesterday because I really didn’t have anything to say. We left the campground at Williamsburg, Virginia, and started driving down Interstate 95. By the time we got to Smithville, North Carolina, we were ready for a break so we decided to spend the night in the Walmart parking lot there. We did some shopping too. There were three other RV’s in the lot with us as well as two semi-trucks that spent the night. In the morning we continued on down I-95. 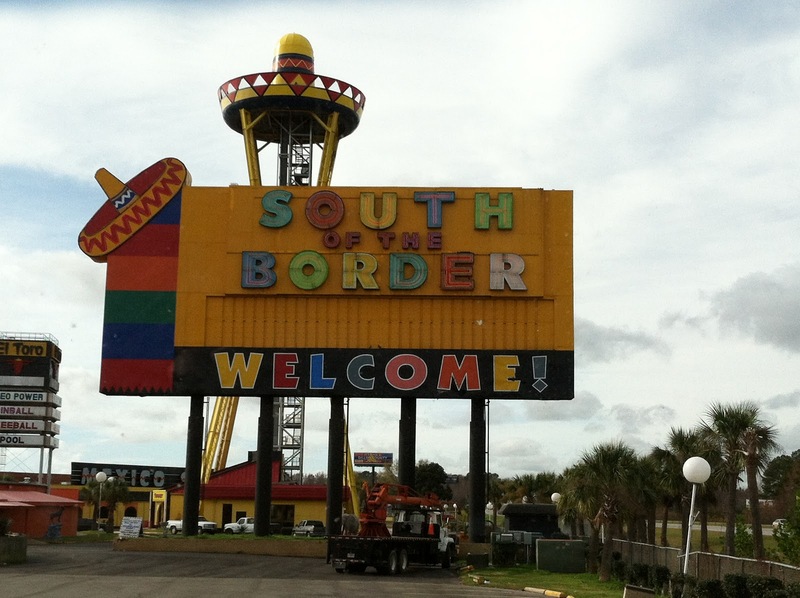 Along the way we noticed many many signs advertising this place called South of the Border, which is just south of the North Carolina and South Carolina border. So we bit and went to see it. It was time for a break anyway. It’s just a big man made tourist draw… cigar shop, gift shop, stylized restaurant, gas, and more. It is the off season and early in the day and hardly anyone was about. We walked around for a few minutes and then left. up to the brim if you want. Well that was interesting. 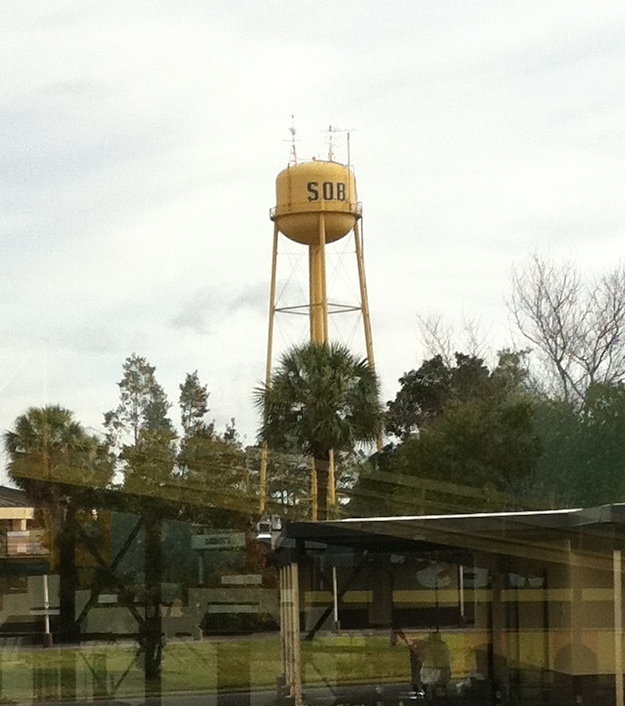 So we continued on until we got tired of driving and ended up near the middle of South Carolina. 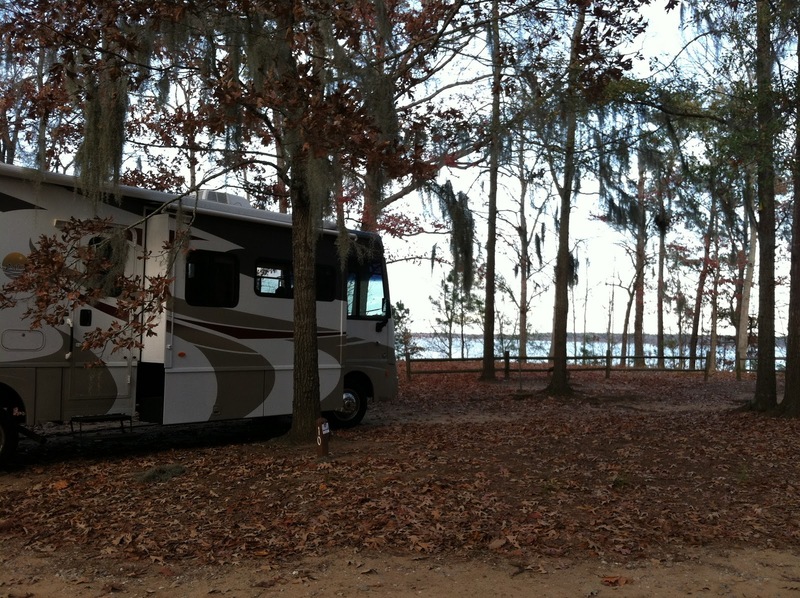 We’re camped tonight at Santee State Park on Lake Marion. We’re the only ones here! Except for the campground host. Nice place.